The capstone on our Florida trip was Disney World. We had gone not all that long ago, and I had politely put in a complaint about accessibility issues at the park. They offered me free tickets to compensate us for our troubles, so we tried again a few months ago. Things were mostly better this time. Far from perfect; policies at the park still do not give adequate access to the disabled. But I appreciated that they tried and that we only ran into one gnarly park employee this time around. Aside from having an overall better experience, I did learn a couple things I wanted to tack on to last year’s Disney savings tips. I spent an embarrassing amount of money on a balloon for one of the littles. I mean, it was pretty awesome. A balloon inside of another balloon–both of which have yet to pop. The quality might be the reason why the balloon lady let me in on a little secret: you can totally exchange your balloon. If it pops or flies away, just bring your receipt and any balloon remains to the nearest person selling balloons to get a replacement. Now, let’s say you bought your balloon at Magic Kingdom. The balloon floated away on your way to the car, but you’re not going to Magic Kingdom the next day. 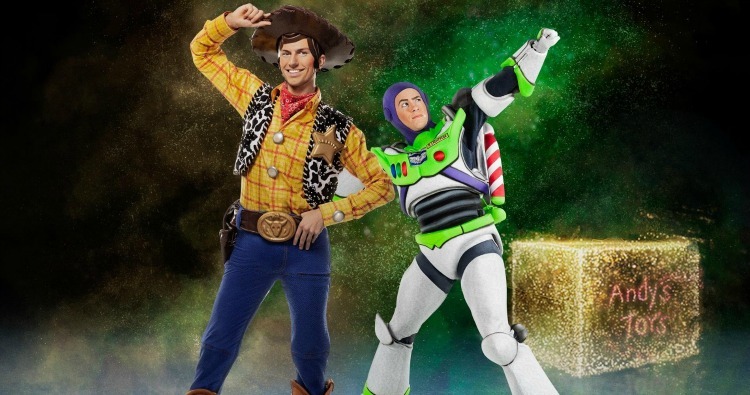 You’re going to Disney Hollywood Studios. Doesn’t matter. Take your receipt to the balloon seller at Hollywood Studios and they’ll get a replacement with no hassle. Yes, I was tempted to take my receipt to the balloon seller at Hollywood Studios to score a second awesome balloon dishonestly. No, I did not follow through. Eat before you go to the park. Last time we went to Disney World, we tried to wake up early and get there as soon as the parks opened. It was May. It was muggy. Everyone got moody. So this time, we left a little later in the morning, grabbing a leisurely brunch on the way there. One day we did pancakes in the timeshare (which was once again kindly given to us as a gift by a family member), another we hit up a diner, etc. In turn, we grabbed one meal, generally at a quick-serve place, while we were at the park and stayed out past bedtime. If we judge by happiness levels, this was a much better plan. Although another contributing factor may have been the time of year. Budget-wise, it was a major win over last year. We ate far fewer meals at the park total, and I cut the character meals altogether. We had already done that once, and the hack I found to meet characters for free for sure at a scheduled time was employed heavily this time around. Calling it a hack might seem like a bit much, but after you’ve spent money on the character meals, it feels like one heck of a hack. So we didn’t have to stress about meal plans, It also meant we weren’t rushing around to make our reservations because we didn’t have any. So. much. less. stress. And so much less money. Around the different parks, you’ll see opportunities to get your picture taken. Sometimes it’s with mascots, sometimes it’s just at a scenic park. We noticed a bunch of these especially in Animal Kingdom. I don’t have the best camera on my phone and I’m not the best photographer, so this time I made sure to purposefully take advantage. I tried to bunch together all our professional picture taking at two parks so I could pay to buy the photos from the Disney app for each day. By only doing two days, I was able to save money over paying the “whole trip” price. Unfortunately I did that last time. There were just too many great memories and pictures. But I did learn the bunching method from that experience. 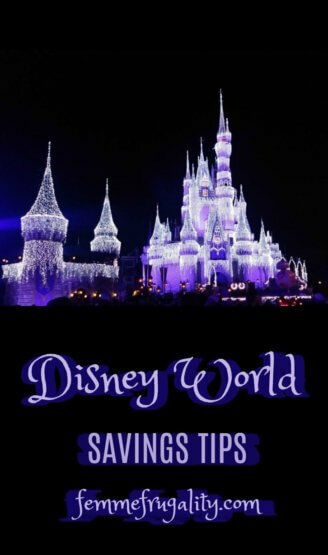 Do you have Disney World savings tips? What are your favorite Disney savings hacks? Leave them in the comments! This entry was posted in Family Finance, travel, Ways to Save Money on February 15, 2019 by femmefrugality. It was pretty impressive. You got to vote for who you think should win each segment by ranking each truck’s performance with your smart phone. 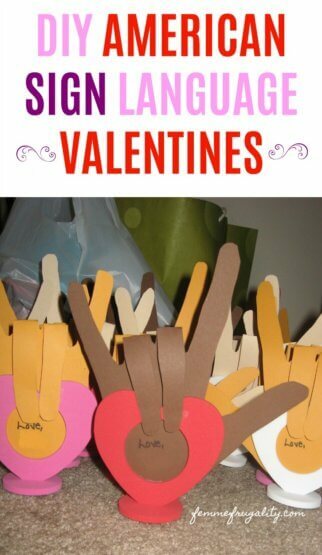 It was really easy and the kids got a huge kick out of it. There was this one part where the trucks were doing stunts on just two wheels. Favorite part. For sure. I went into this knowing three monster trucks in total: Grave Digger, El Toro Loco and Zombie. If I came out learning nothing else, it was the name of another truck to my lexicon: Soldier Fortune. Because of my work, we get to go to live performances for free pretty regularly. Some organizations I’ll work with on a repeat basis, and some I won’t, depending on how their cost:value ratio stacks up for you guys. Feld Entertainment is one of those companies I end up working with again and again. They put together great events like Monster Jam, on top of past Disney on Ice performances we’ve attended. When I was growing up, I thought Disney on Ice was so expensive. Prohibitively so. So when I went to my first Disney on Ice with Feld Entertainment, I was shocked when I saw the ticket prices. 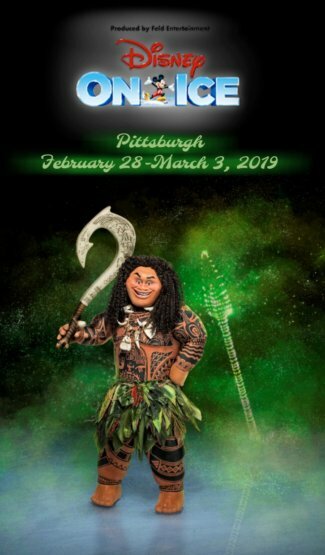 For example, this Mickey’s Search Party, which is showing eight times at PPG Paints Arena from February 28 to March 3, 2019, has tickets starting at $15. Yet the performance still has me feeling like the tickets are pricey. It’s the like the non-alcoholic, kiddie version of champagne lifestyle on a beer budget. And I love it. This entry was posted in Family Finance, Pittsburgh on February 13, 2019 by femmefrugality. This post is in partnership with Uncommon Goods. What do you get someone who has an obsession with tacos? You could get them a taco kit. Or plane tickets (you baller, you.) Or an animal balloon kit. Or a super soft blanket. But those are all such predictable buys. 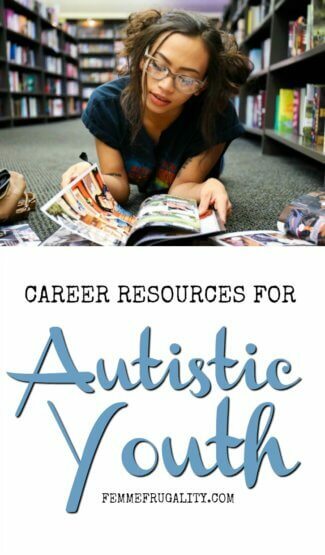 Today, I want to show you a shopping solution that lead me to find totally unique. 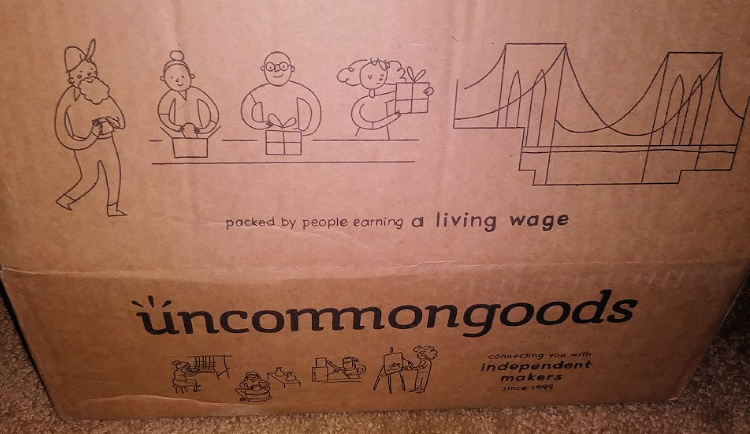 This shopping solution treats their workers fairly, and has something for everyone. This shopping solution is Uncommon Goods. I’ve been crushing on Uncommon Goods for years. Their products are unique and fun, and each one comes with a story. I was super excited when they approached me to review some of their products as I still had some people on my shopping list. Here’s what I got with my budget, and the story behind each piece. 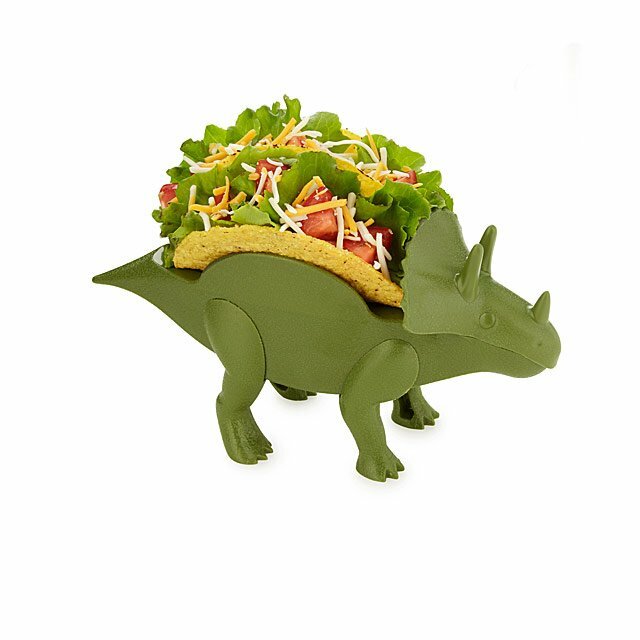 I’d like to introduce you to Tricerataco. He’s BPA-free, lead-free and phthalate-free, so he’s completely safe for holding your food in lieu of or in addition to a plate. He’s extinct, so he’s literally got nothing better to do with his time. Also, he’s going to my brother-in-law who, on everyday of our vacation, went to a taco stand to sate the craving. Dedication, man, dedication. This is a gift for child and mother. I think the child part is pretty obvious: an adorable and functional gift that chases away monsters at night! But for me, it’s nice for a couple reasons. 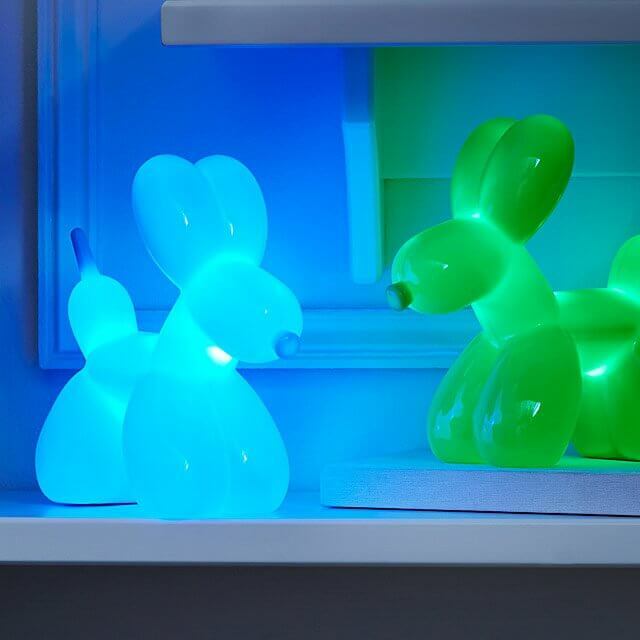 First, the Balloon Dog Nightlight can be turned on simply by squeezing its silicone paw, which makes it super easy for kiddo. Second, I have this issue where I always forget to turn the night light off after the kids are asleep. 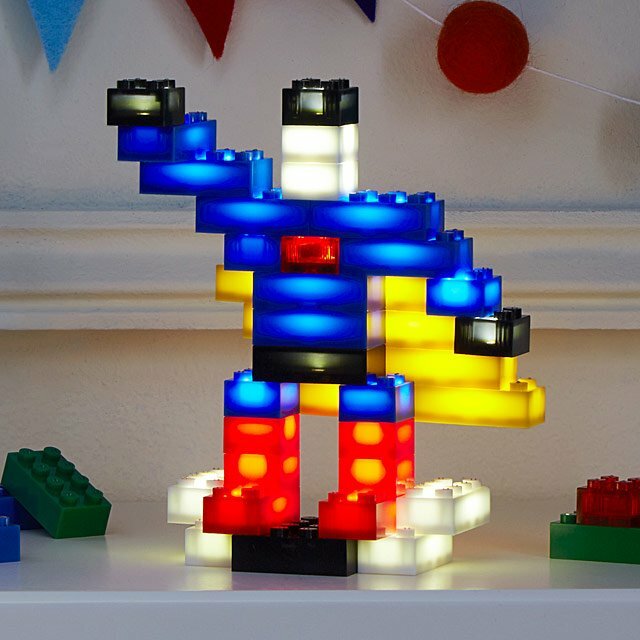 This leads to drained batteries and ultimately an abandonment of said night light. Well, this night light is different. It automatically turns off after 30 minutes of emanating glowing cuteness, which means the batteries are going to last me a heck of a lot longer. What kid doesn’t love building blocks? I know mine do–we’ve even been to expos celebrating that love. But these Sound-Activated Blocks add two new layers of sensory play to the equation. First, they light up! You can have your creation lit solid, fade in and out or flash. If you want to get really fancy, you can add that second sensory aspect: sound. You can literally clap to light up your creation–or to black it out. We’re gonna have so much fun. I first spotted this title when Jana and I were scouring Dallas for independent book shops. I fell in love, but my wait-and-see-if-I-still-really-want-it rule kicked in. I did still really want it days later. And now, over a year later. Regardless of the gender of my children, learning the stories of strong women is something I want to implement with them, as they’re not as common in history books and general education. 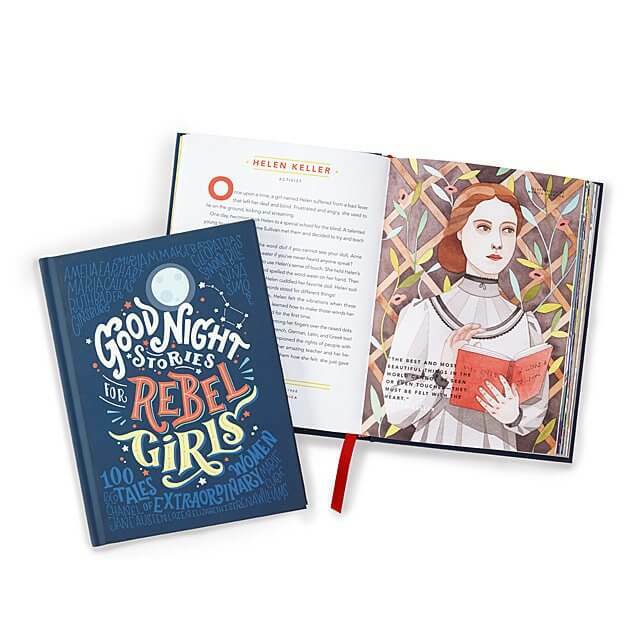 So I was over-the-moon excited to see that Uncommon Goods carried Good Night Stories for Rebel Girls. I mean, of course they do! The book’s awesome, and that’s what they specialize in: carrying awesome products. Guys, I’m so bad. I got my last Christmas present for me. I’ve been eyeing one of these Scratch-Off Travel Maps for years, and just couldn’t resist when I saw it in the Christmas Gift section at Uncommon Goods. The idea is this: when you travel somewhere, you scratch it off. If you have a travel maniac on your hands, their goal will probably be to scratch off as much of that map as possible, revealing the beautiful colors underneath the gold foil. It’s hella cool. I’ll be posting my own map, how it looks in my room and all the places I’ve traveled over the next few days on Instagram. Follow me to catch all the goodness! 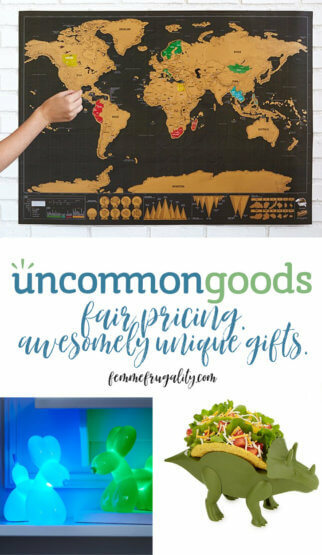 Okay, so we know Uncommon Goods has cool products, but what about pricing? Ethics? Can I get it in time for Christmas? Let’s review each one of those. It all depends on what you’re buying. The products featured above range in price from $12 to $48. After doing some comparison shopping on like–though not identical–items, I’ve found these prices to be fair. If you’re on a tight budget, you can browse the Under $25 section, which has some awesome gifts. Think avocado tree starter kits, top 100 movie scratch-off posters, solar photography kits, llama socks and more. What do they do with the money they make? Pay their employees a fair wage and treat them like human beings. They’re doing this without undercutting market pricing to gain huge industry shares, unlike other companies you might be shopping with this holiday season. Can I still get my gifts in time for Christmas? Yes! If you order today and select 3-5 day shipping, it should be there in time for Christmas. Three to five day shipping costs $9.95, but I have a hack for you. If you can front the extra ten dollars, you’d actually save $0.95 long-term by signing up for membership right now and still get your presents on time for Christmas. Just be sure to double check the dates on that 3-5 day shipping–depending on where you live and what day/time you place your order, your results may vary from mine. How are all their products so awesome? 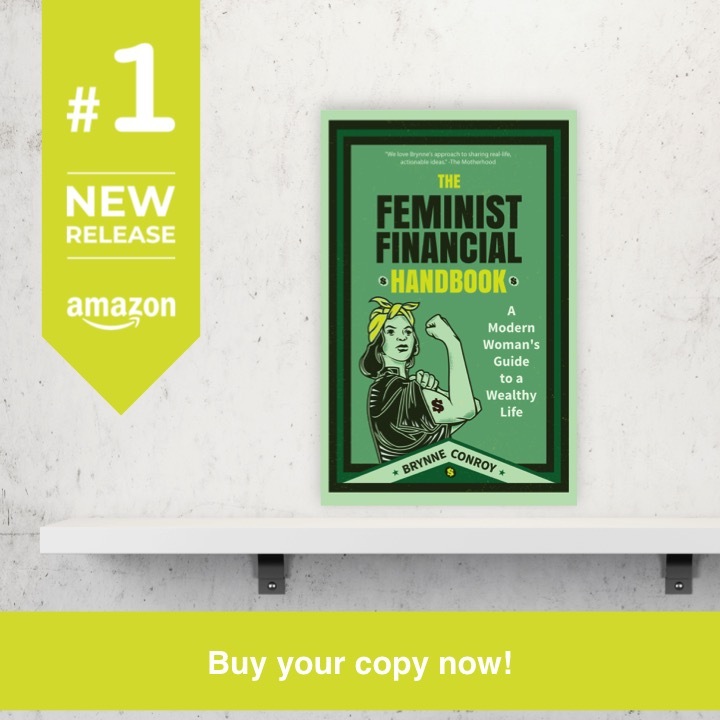 This entry was posted in Family Finance on December 17, 2018 by femmefrugality.